Girard Perregaux: a grand dame of watchmaking. 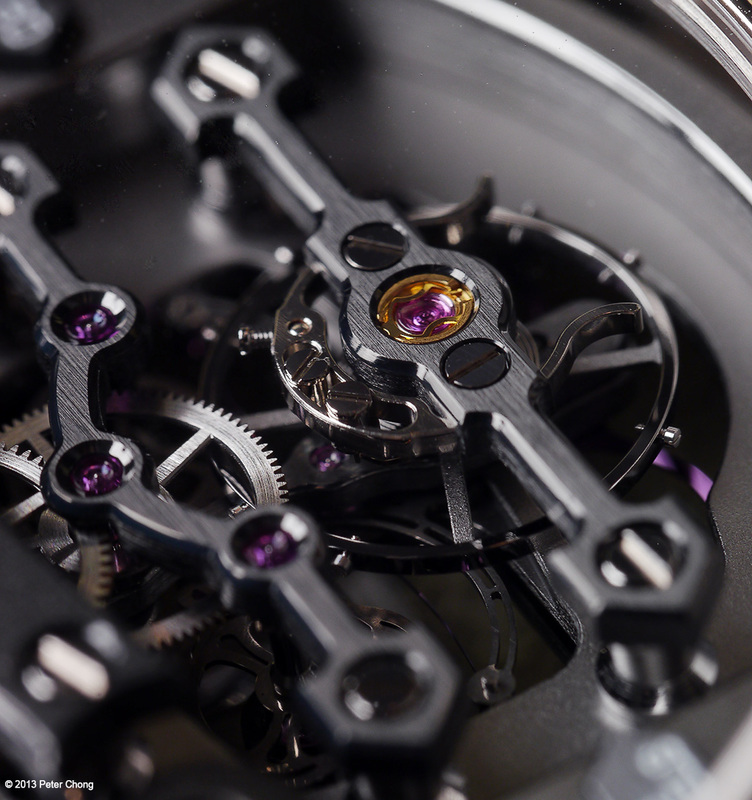 Making beautiful and magnificent watches. 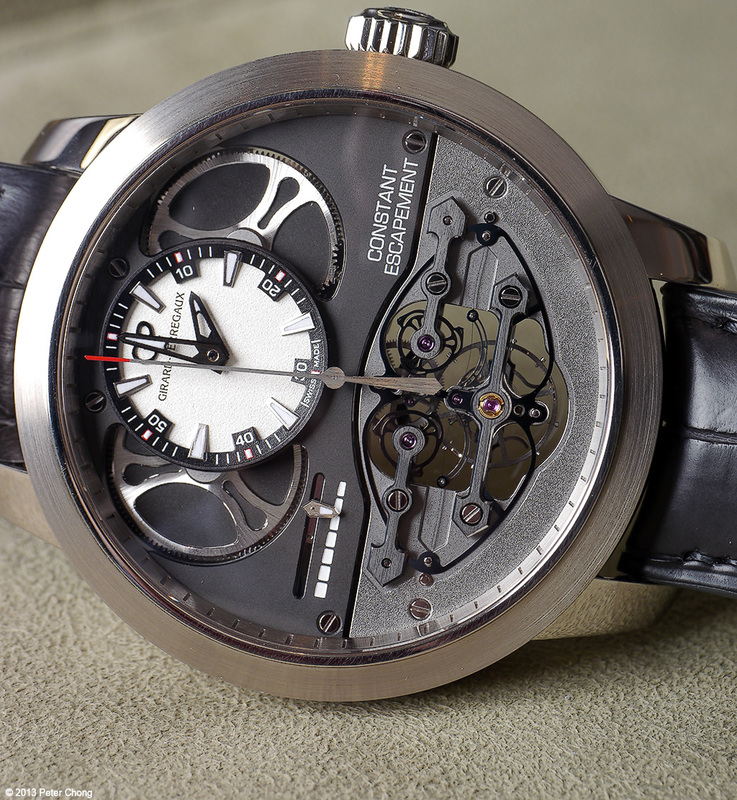 GP is famous for their Tourbillon on Three Golden Bridges. 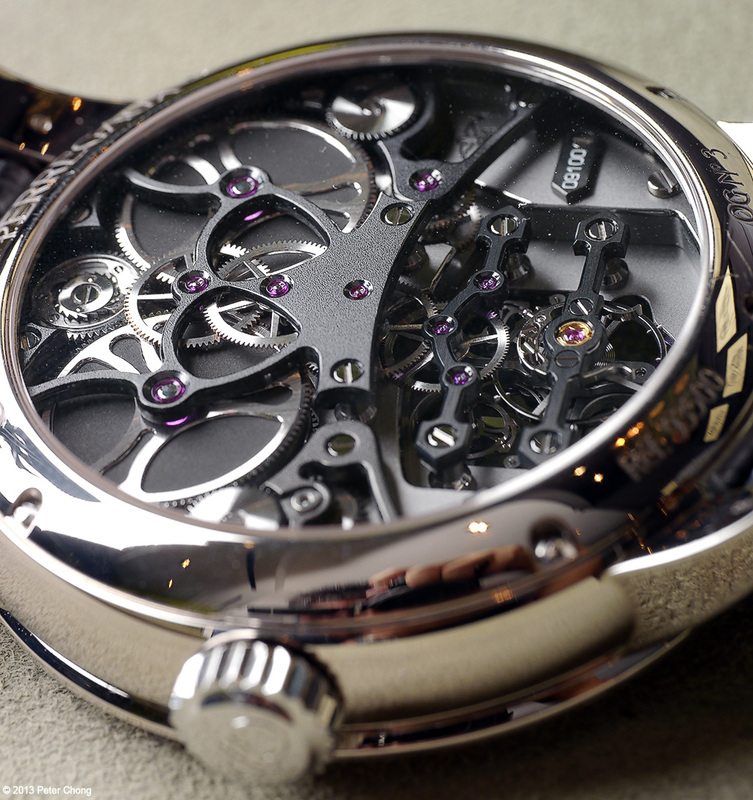 But recently, GP shook the horological world at its roots. 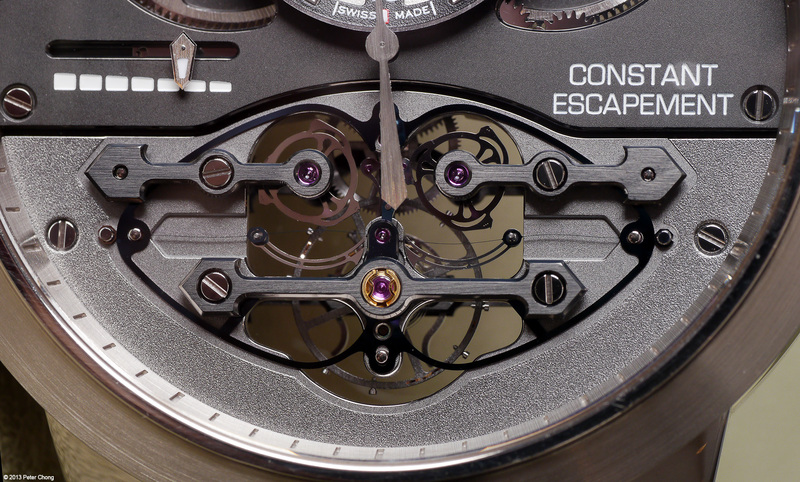 After centuries of the Swiss Anchor escapement, they came up a new escapement. 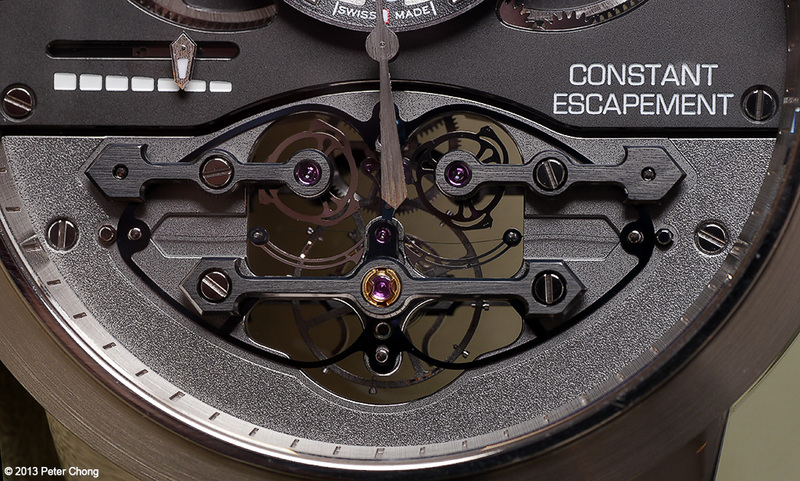 Constant force escapement. Beautiful, magnificent. 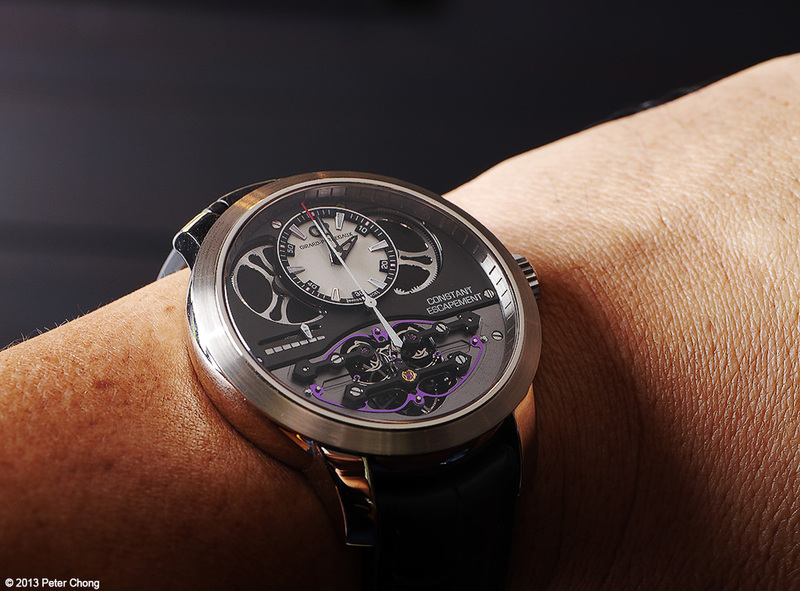 The watch is rather large, measuring some 48mm in diameter, but sits nicely on the wrist. A very distinctive look, with the pride of place on the dial taken by the Constant Force Escapement, with its unique look. Mesmerising to look at. The principle is well explained in GP's own website. Note the small details like the arrow shaped bridges which hold the escapement, giving a nod to the similarly shaped golden bridges in their famous Tourbillon with Three Golden Bridges. The movement is as beautiful behind as it is from the front. The movement is finished exquisitely. Very beautiful, and fine finishing. Superb, superlative timepiece. Magnificent concept, equally magnificently executed.